When Justice Anthony Kennedy announced his retirement from the Supreme Court, people immediately became concerned about what his decision might mean for hot-button issues like immigration and abortion. 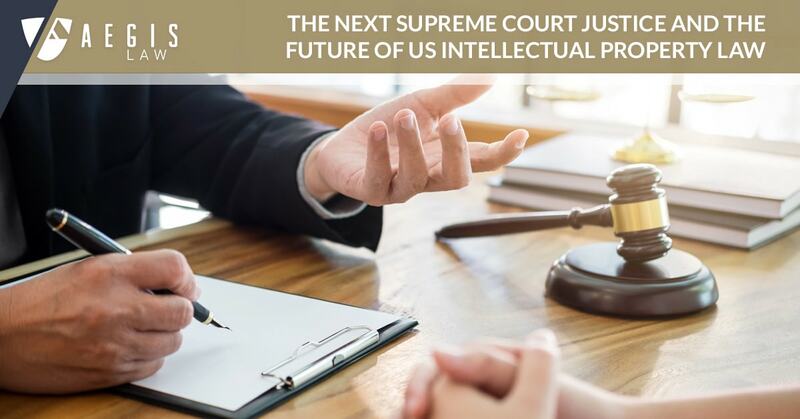 What no one saw coming was the effect that a new Supreme Court justice might have on the future of intellectual property. Enter Judge Brett Kavanaugh. Judge Kavanaugh is the current presidential nominee to replace Justice Kennedy on the Supreme Court. Unlike many of the justices on the bench before their appointments, Judge Kavanaugh has a lengthy record of IP- related judicial decisions. So let’s take a look at the effect his appointment might have on these types of cases. When it comes to patent law cases, Judge Kavanaugh’s confirmation will likely do very little to sway the overall position of the Court. For the past several years, the Supreme Court has been virtually unanimous when it comes to patent issues. However, the Court has not been as consistent when it comes to copyright. The Supreme Court has issued divided rulings when it comes to restoration of copyright rights, defenses to infringement, royalty payments and internet retransmission of television broadcasts. These are areas where Judge Kavanaugh’s experience may come into play. For example, in court rulings from 2009, 2010 and 2015, Judge Kavanaugh upheld the Copyright Royalty Board’s rates for songs played on satellite radio stations and in ringtones, penalties for late payments, and fees for cable retransmission of sporting events. However, at the same time, Judge Kavanaugh questioned the Copyright Royalty Board’s administrative powers. In a concurring opinion, the judge questioned the Board’s powers by noting that, because its principal members are not confirmed by the Senate, the board itself may not be constitutional. While this concurring note may not predictive of how Judge Kavanaugh will vote in the future, it does mean that the Copyright Royalty Board’s existence may come into play if he is confirmed. Thus, while it is unlikely that Judge Kavanaugh’s confirmation will have an effect on the future of patent law, copyright holders will need to pay attention to any future decisions if tapped to join the bench. Do you need any help with your company’s intellectual property portfolio? Contact us today or call us at (314) 454-9100 to schedule a consultation. In May, 2018, 95-year-old Marvel comics legend Stan Lee filed a $1 billion lawsuit against his former business partners and the company they formed together, POW! Entertainment. In the suit, Lee alleged that company executives tricked him into signing over his business interest and the exclusive right to use his name and likeness to Camsing, a Hong Kong-based investment holding group. By July, Lee had dropped almost all of his claims against his former partners, save one fraud charge involving an alleged attempt to sell his blood as a collector’s item. (Eek!) However, Lee’s claims brought out some interesting lessons about misappropriation that everyone ought to know. Unauthorized use or misappropriation occurs when someone uses your name, likeness or other attributes for his benefit without your permission. Two legal claims arise out of this kind of unauthorized use: (1) invasion of privacy and (2) a violation of the right to publicity. A person has a legal claim for invasion of privacy when someone else uses his name, likeness or other protected personal attribute without permission for commercial gain—usually to advertise a product or service. Laws vary state-to-state on what constitutes a protected personal characteristic, and in some states, impersonation qualifies as a violation of privacy interests. The right of publicity is the right of every person to control and make money from the commercial use of their identity. Although the right of publicity technically extends to everyone, most right of publicity disputes involve celebrities, because their identities carry greater commercial value. Only human beings have rights of publicity and privacy interests. Therefore, only individuals may sue for misappropriation. The law excludes corporate entities from these rights, unless an individual has sold or transferred her rights to the company. There are three main defenses to misappropriation. First, the First Amendment protects individuals if they are using a person’s name or picture to report the news or for editorial style commentary. Secondly, the law also protects artists who use a person’s image in a creative work, so long as the work materially and substantially changes the appropriated content. Finally, a person has a valid defense to misappropriate if they can show that they received consent to use the image. Do you have questions about your privacy rights and misappropriation? Contact us today or call us at (314) 454-9100 to discuss your options.